CR (City Run): Every Sunday morning. Tokyo City Run near Ogawamachi on June 12, 2011. Picture by @iwa. Konnichiwa. 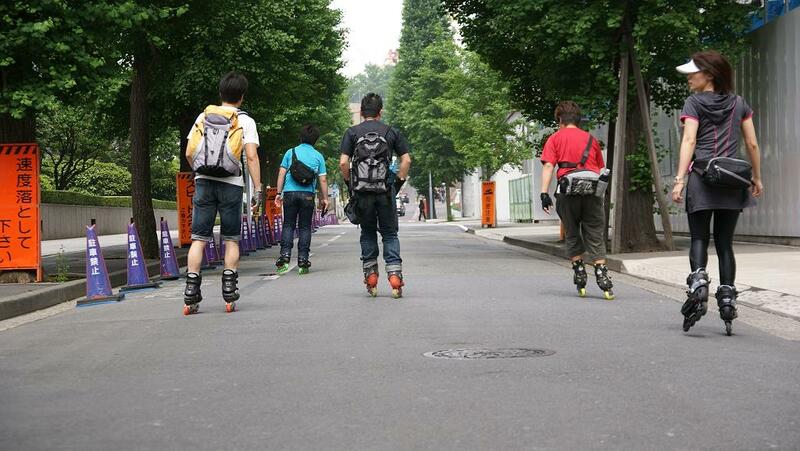 This web site contains information on where to skate in Tokyo, information on group skates such as City Run, SNS - Saturday Night Skate Tokyo, and various skate routes in and around Tokyo. If you have any questions or comments, please feel free to e-mail me. Copyright © 1999-2011, Timothy Tjoen-Tak-Seu All Rights Reserved.